This post contains affiliate links in which I may receive a small percentage of the sale. It in no way effects the cost for you, nor your shopping experience. I only provide affiliate links for items I truly believe in. Thank you for your support and happy shopping! While I’ve known about Quest bars for quite some time, my sister had told me about the transformation possibility in making them into cookies!! Baking these chewy bars transforms their texture and makes it easier to munch on. Those on dialysis often tell me that they have little appetite and the thought of eating an entire chicken breast can feel overwhelming. Enter the protein cookies! Did you know that people on dialysis require almost double the protein needs of someone not on dialysis? So you can see how overwhelming the thought of so much protein can be. The challenge with Quest bars is that they are very chewy and dense. This makes sense, given the amount of protein and fiber just one bar holds. Enter the cookie-ing process. 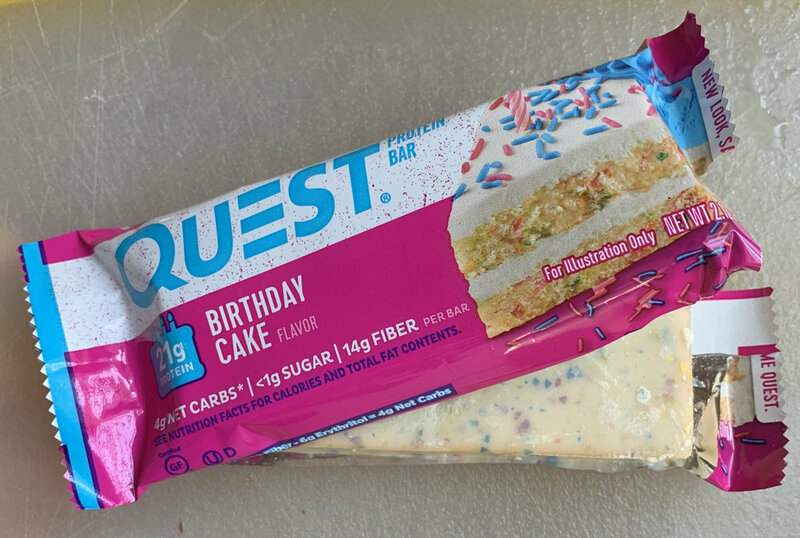 Turning one of these bars into cookies changes the texture and creates bite-sized high-protein bites. Pack them up in sandwich bags to take to dialysis treatment, keep stashed in your car or office (for just a couple days), or use for a late-night sweet-tooth snack. Take your Quest bar and cut it into 8 equally-sized pieces. Place on baking sheet, with at least a few inches between each piece. Put in middle rack of oven and back for just 3 minutes, until softened. Remove from oven and, using a spatula, flatten each bite slightly until desired thickness. Place back in oven and back for another 2 minutes. Remove from oven and place on cooling rack. Store in an air-tight container for up to 3 days. DON’T OVER BAKE. They will get extremely… er… crispy. Pay attention to the coating of the bar. I made a batch with Chocolate Chip Cookie Dough and another with Birthday Cake. The b-day cake flavor has a coating on it that ended up being a little sticky and harder (but not impossible) to press down. Some of the flavors without coating include chocolate chip cookie dough, cookies and cream, and oatmeal chocolate chip. Quest does sell cookies already, but I see the cookies are quite large and have about 240 mg sodium, 50mg more than the bars. Plus, I like that this cookies are small and snackable! 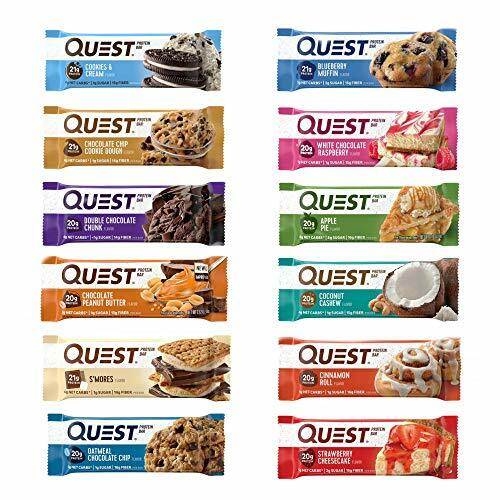 Haven’t tried Quest bars yet? Get a variety pack like this on Amazon. Would you try these? Share them with someone you think would like this!